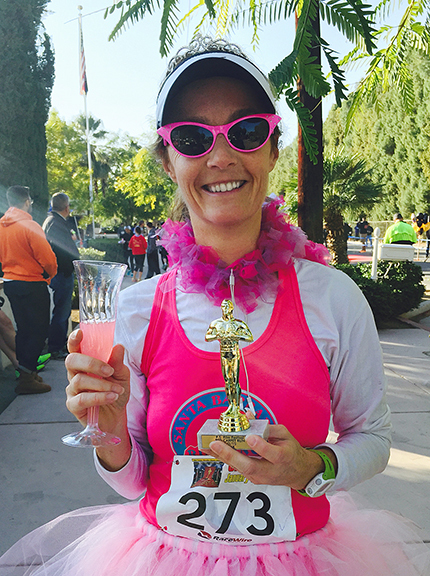 Although I wasn’t seeing stars or feeling like I was about to puke from pushing myself way beyond my limits, I was in a happy endorphin daze, having just run a solid race while sporting a tiara and a tutu. How could I not be happy? It was a fabulously silly way to start the new year. “Seriously?” I croaked while looking around suspiciously, wondering if I was being punked. “Seriously,” he said as he high-fived me. What a hoot! It turns out that, yes indeed, I did win! I had no idea, especially since it wasn’t one of my fastest races. I figured there must have been at least a handful, if not a dozen women ahead of me, but apparently I was in my own little happy bubble, oblivious to what was going on around me. All I know is that I ran neck in neck with a lady wearing a tiara and a green and yellow Oregon Ducks getup for nearly the entire race, until finally pulling ahead of her with about three-quarters of a mile to go. 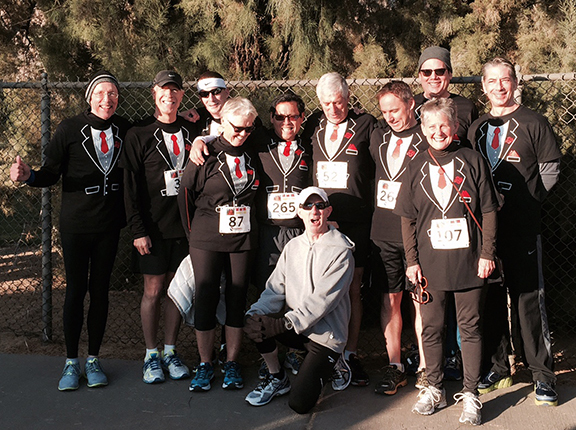 As you might have guessed, this race was purely about fun for me. My only goal was to enjoy my run and see where I was at with my fitness. After two months of letting my body recover from a frustrating litany of overuse nonsense, I came to the starting line with zero expectations. Perhaps that’s why this race was so much fun. Or it could have been the Elvis impersonator…or the most remarkable rendition of the Star Spangled Banner I’ve ever heard, sung by the Palm Springs Gay Mens Choir, or the race director who was wearing a full length gown and fur, or the champagne glasses filled with yummy pink stuff, or a race course that sent us zooming past a dozen or more iconic celebrity homes (think Dino, Marilyn, and Frank). Or it could have been the ridiculous amount of bling, including a tiara, tutu or tuxedo shirt given out in every race bag. Or maybe it was the adorableness of the canine division, or the photo booth opps or the karaoke and costume contests. These people know how to party! The funny part is that I was in Palm Springs last weekend for just that…a party to celebrate my adorable mother-in-law, Geraldine (Gee Gee), who was turning 90 (how amazing is that?!!). My plan was to quietly zip out the door in the morning before she woke up, do the race, and return before her celebration breakfast. I hadn’t even told Gee Gee I was doing a race because last weekend was meant to be all about her. The problem is that when you win, they want you to stick around for the special awards ceremony to honor you with all your bling. 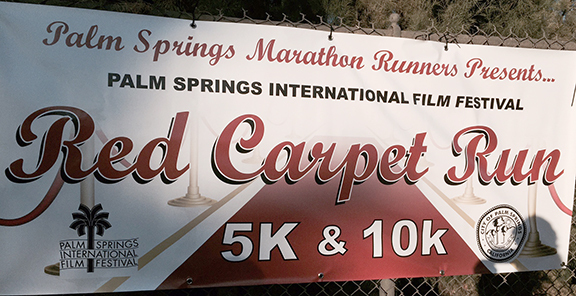 I waited for a while, and even had my picture taken with Elvis and Marilyn, but finally told the race director I needed to skedaddle. Did I mention how nice everybody is at this race? If you happen to be in Palm Springs next January during Film Fest, I highly recommend you join the fun! 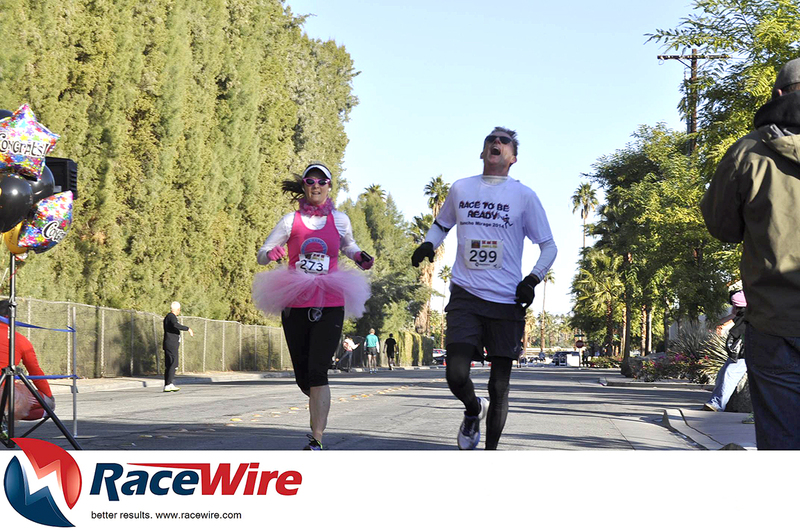 Here are a few pictures from the race…and here’s a link to the Palm Springs Marathon Runner’s website with race info. (click on the link). I’m not sure if the guy next to me is sneezing, howling, crying out in pain or singing Hallelujah!